There are many different ecommerce hosting services, server types and plans to host your online store. So many offers of various hosting types are pretty confusing. This article helps you understand what kind of ecommerce web hosting is best suited for your business needs. Actually, this type of ecommerce hosting service is a perfect solution for the startup phase. Free website builders such as WordPress allow you to create a basic website managed, supported and protected by the hosting provider. A website builder provides you with a very simple interface and a few options to slightly change its design. But as your business grows, your website becomes more complex. You sell more products, get more traffic, and eventually require more features… Finally, you have to start looking for another home for your shop, that will offer something more, starting with a hosted shopping cart for your customers. 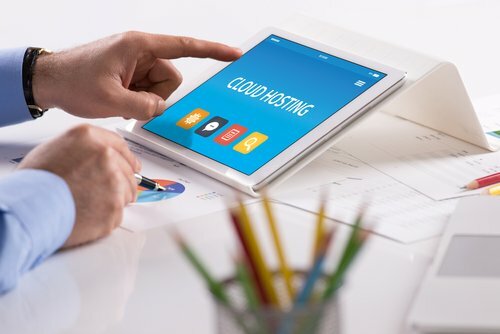 Shared ecommerce web hosting means that your store is located on a physical server, where you share data storage space with other websites and their software apps. The cost of the services provided with it is also shared, and this is the biggest advantage of such shop hosting. Prices range between $5-20 per month, but your website performance may suffer when you share the space with hundreds of other online stores. The cost is lower, but site is also slower. With this option you have your own website and server without any sharing. This gives you full control over your ecommerce host; however, the responsibility of server installation, operation, system resources, security, backups, and other issues also falls on your shoulders. This hosting type usually implies hiring additional staff for server maintenance. Dedicated ecommerce web hosting is a good choice for larger companies and is well suited for stores with high traffic. This is essentially dedicated ecommerce web hosting on rented space. You have your physical server hardware housed by ecommerce host’s facilities. The host provides internet connection, power, and cooling. You have full control over the server and the responsibility for its hardware and software maintenance. 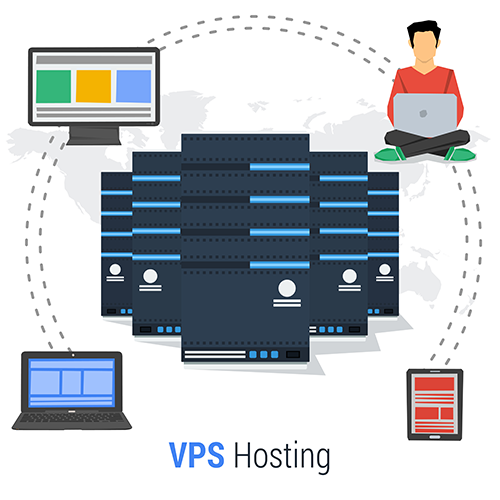 VPS hosting means that you have a virtual server in a shared physical hosting environment, which acts as a dedicated server. Virtual private servers share resources without bringing down their neighbor sites’ traffic. You still have to maintain your server, but the cost is lower than managing a dedicated server on your own. VPS hosting price can vary between $20-200 per month depending on the memory and CPU provided. Which e commerce hosting fits you better? The e-commerce segment of hosting evolves and grows from year to year, so these days you have options. You can start running a small store with a free site builder that provides basic controls allowing you to cover primary vital aspects. Over time you may need a more complex technology with a special emphasis on e-commerce business features. When you start looking for the best solution with the most optimal feature sets, one of the most important factors is the e-commerce platform. Reliable and powerful infrastructure must be the foundation stone of your online store. Typically a web hosting provider offers you a bundle of common features. An e-commerce solution on the other hand is initially designed for the needs of your business. All E-commerce platforms fall under either self-hosted or hosted category. A self-hosted version (ex. Magento) means you take care of your own hosting and use the provided e-commerce platform. Hosted type (ex. Shopify, Volution) comes with full support for your website. Some e-commerce platforms (ex. 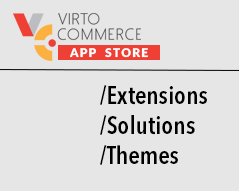 Virto Commerce) can provide you with both hosted and self-hosted options among other customization features. •	When choosing a platform, make sure it is scalable enough to account for your business’ growth. •	Another important factor is performance. The loading speed of your website impacts everything from search engines ranking to visitors’ loyalty and satisfaction. •	And, of course, your e-commerce platform should be robust and provide a high level of security. That means reliable hosting, support for SSL certificates, personal data protection, PCI compliance among other options to keep both your website and your customers’ data secure and protect sensitive information. A quality shopping cart is also vital for your store. Multi-language support, automatically calculated currency and tax rates, integrated payment gateways, and convenient design of the shopping cart itself are very important to manage a professional online store. Doing business online shouldn't be complicated. Making the right choice when it comes to your e-commerce hosting and platform lets you run your store easily. The decent player in the world of web hosting platforms. It is packed with many useful features, including shared hosting, VPS hosting, dedicated hosting, and tremendous 24/7/365 customer support that is always eager to solve any of your problems. However, despite good uptime and easy-to-use website building software, it lacks Windows servers, which doesn’t give it the ability to keep up with the big dogs on the market. Outstanding and reliable plans for every single customer have given Host Gator its place under the sun. It is valued for an easy, yet the robust array of functions and add-ons and is considered to be the best choice for new players in web hosting. Customer service is at the top, and it leaves you without any worries of doing something wrong. However, there are certain things in which HostGator loses to its competitors. Those are the lack of Windows-based VPS hosting, complex WordPress import and low level of e-mail security. The best web hosting service regarding its value. It offers an affordable solution to the clients while at the same time providing them with rich website-creation tools that will leave you satisfied. You may use it on Windows or even Linux-based servers being completely satisfied by their easy-to-use website creation tools and templates. No setup fee is required while choosing 1&1 Hosting, however, be aware of the short-term money-back guarantee periods. A solid player in the market of web hosting that is packed with multiple useful features, including Linux and Windows-based hosting, outstanding customer support, e-mail integration and secure Wordpress import. This is a great option for all of those who want a reliable hosting with the decent tool for website building. On the other hand, you may be a little dissatisfied with the lack of month-to-month payment option. Very reliable web hosting solution that offers a broad range of web hosting choices. Easy integrated UI and excellent uptime at the moments of testing. 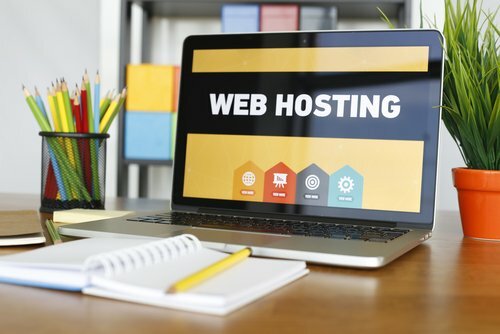 If your priority is to create rich, colorful, attractive, while still being reliable and functional, websites, then this hosting platform is the way to go for you! The only disadvantage with which it falls behind its rivals is a lack of Windows-based hosting servers and the inability to use a raw platform, without any add-ons modifications.